It is no secret that India is experiencing massive bandwidth demand growth fueled largely by mobile broadband. 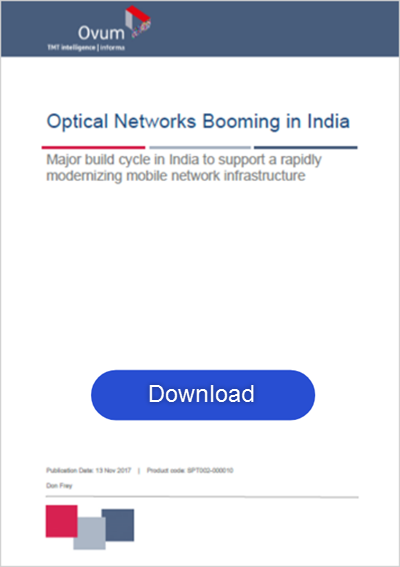 A recent report by Ovum titled “Optical Networks Booming in India” has identified India as the world’s fastest growing optical networking (ON) market in 2017. India's telecommunication network is now the second largest in the world by number of telephone users (both fixed and mobile phone). The India market has 1.2 billion wireless subscribers and only 300 million mobile broadband users. 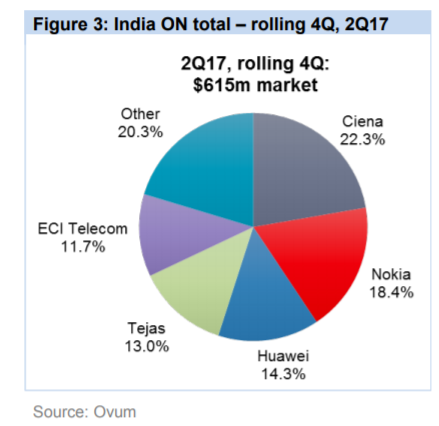 Ovum expects that by 2021, India will reach 1 billion mobile broadband users at a 32.8 percent CAGR, which will drive the need for further investments in the Access, Metro & Backbone Optical infrastructure. Mobile broadband growth has been a key driver over last couple of years and will continue to drive India’s strong optical market. This rapid growth has been taking place across a tumultuous landscape of dramatic change. Technological innovations, such as the advent of 5G and IoT, and regulatory support driven by government initiatives like the Digital India program, which aims to provide internet connectivity to 250,000 villages across India to give citizens access to e-healthcare and e-learning, along with cloud services and e-governance across all industry sectors and smart city programs have been the critical factors responsible for evolution in this space. At the same time, we have seen consolidation with the Bharti Airtel, TATA and Telenor India buyout, the Idea-Vodafone merger and Reliance Jio buying RCom. The growth trend is going to continue in the coming years due to aggressive 4G rollouts by operators like Airtel and VF-Idea to counter Reliance Jio. In addition, the Smart Cities Programs run by government enterprises like BSNL, Railtel and other state-led entities will introduce a multitude of IoT devices connecting to the network. 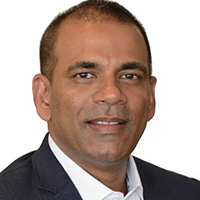 During 2020, Ovum expects carriers in India to begin 5G deployments to support enterprise and higher-speed broadband which will again need higher capacities; and we cannot forget the inevitable bandwidth impact that OTT players will have on metro and backbone networks. At Ciena, we have been playing our role in this journey to digitize and enable India. This is also reflected in Ovum’s report. 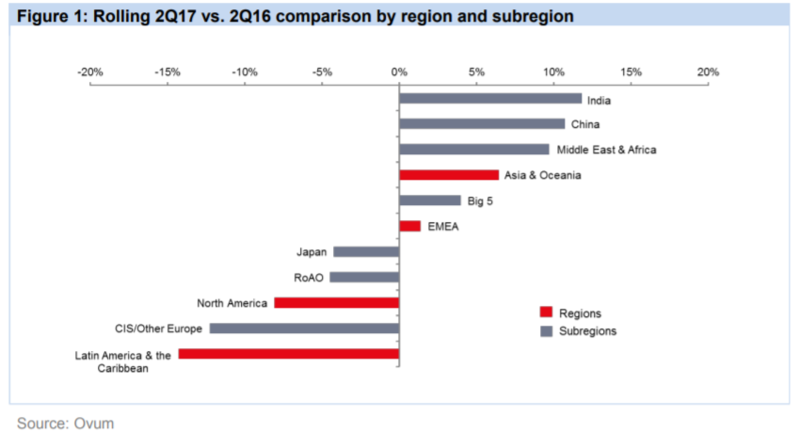 Ciena has been the vendor of choice of India operators when it comes to Optical Networks and WDM with 22 percent market share of the overall India Optical networks market in 2017, and we have been consistently maintaining the leadership position since 2015. At Ciena, we continue to invest in innovation that provides our customers with best-in-class solutions, enabling them to offer unmatched quality and experience to their end users. Our latest solutions combine highly instrumented, programmable hardware with advanced software applications to help operators extract the most value from their network, massively scale at lowest cost per bit, and fully monetize their network resources – all while using APIs and standard interfaces to support customers’ requirements for an accessible, open architecture. Want to see more details on India’s Optical Market? Download a copy of the full report here.